Picnic in the Pews on Thursdays at noon provides a mid-week opportunity to participate in the Holy Eucharist and afterwards enjoy the fellowship of others with the light lunch. If your schedule permits you can “picnic in the pews”, or we will gladly put your lunch in a sack that you can take with you. Wednesday Holy Eucharist at 5:30 p.m.
Evening Prayer on Monday and Tuesday at 5:30 p.m.
Sunday School Class on The 5 Marks of Love at 9:15 a.m. Please pick up a Hope Chest box to be filled with money for Episcopal Relief & Development at the back of the church. Finally, you are welcome to meet with me to make your personal confession. The order for personal confession is call “Reconciliation of a Penitent” and can be found in the Book of Common Prayer on page 447. Of course, your confession will be kept in the strictest confidence. Donations for garden chairs may be made by offering plate, mailed or dropped off at the church office. We are looking forward to using our lovely garden this year. Worship: March 19, the Holy Eucharist, Rite I, with Rev. Ray Brown. Angels of Grace and Anchor Mission ministries: The item from their wish list this week is toilet paper. Mar 15, Wednesday Lenten Listening at Helena United Methodist Church at 12:00 noon. The speaker is Lynn Chadwick with special music by Paige VonKanel. Mar 20, Monday Evening Prayer (chapel) at 5:30 pm and Vestry will meet immediately after. 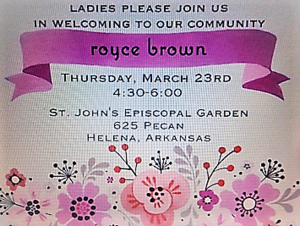 Mar 22, Wednesday Lenten Listening at Helena United Methodist Church at 12:00 noon. The speaker is Sheriff Neal Byrd. 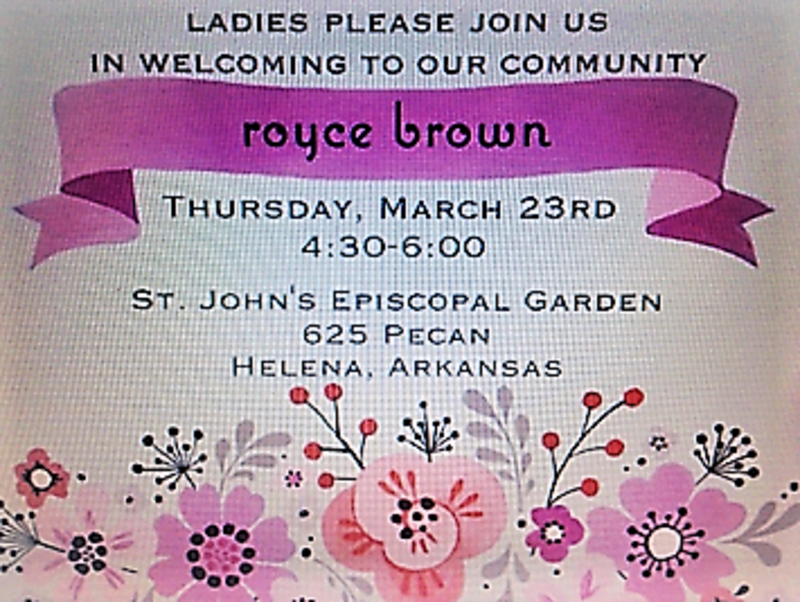 Mar 23, Thursday Garden Party invitation below! The Easter Lilies 2017 order form will be distributed this Sunday.